Two weeks ago, while lying in bed one night talking to my hubby, the distance from Jesus hit me like a ton of bricks. The bricks of fear pinning me to the bed and torrents of tears pouring from me. Hubby comforted me and ministered to me and prayed for me. Still, I carried a heavy burden quietly in my soul. Realization of the pit can be the beginning of freedom but we still have to climb out. It was one week later that I was able to hop on a plane and fly to Nashville, Tennessee. 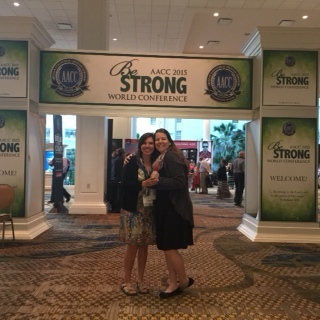 It was a long awaited time with one of my very dearest of friends who lives across the country and we were volunteering and attending the American Christian Counselor’s Conference. I knew God was going to show up but most often He shows up in unexpected ways. The Father is always faithfully reaching out to the weary and broken. Me and my soul sister! It didn’t take long for my soul friend to realize I had been struggling deeper than she thought. And like a good friend, God used her to call me out of the darkness and into the light! She challenged me to walk the path God has called me to walk. Write. Write. Write. Do what God has called you to do through this. I knew she would. That’s what good friends do. I had the privilege of sitting under Academics, Doctor’s, Counselor’s, Therapists, Pastor’s, Author’s and so many more amazing people. Just to name a few of these richly souled people; John Townsend, Ted Cunningham, Tim Clinton, Matt Chandler, Ron Deal, Liz Curtis Higgs, Lysa TerKeurst and so many more! God used these people to equip me to better help others, to build up my own marriage and family and He slowly, gently and graciously massaged the pent up frustration out of my heart and released me from that which had been holding me down. 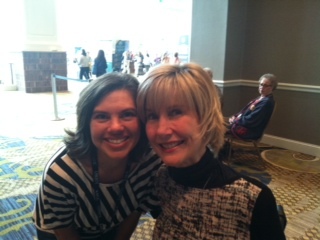 Joni Eareckson Tada and a teary eyed Charise! 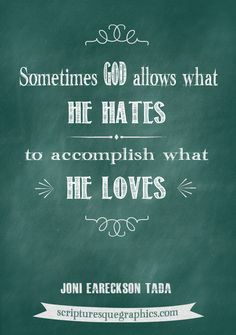 The summation of all that God had been speaking to me rolled into one when I saw and heard Joni Eareckson Tada. I was able to hug her and tell her thank you for writing and ministering to me. I have not even finished reading her book, “A Place of Healing: Wrestling with the Mysteries of Suffering, Pain, and God’s Sovereignty” and yet every time I have picked it up over the last three years, it has ministered to me right where I am. This book, a balm for weary souls, has been an avenue for which God has brought understanding and peace in the storms, a healing of sorts. A Merry Heart is Good Medicine! Awe, Paula, thank you for your kind words. It truly doesn’t matter how big or small our trials, we can truly become numb to the Father’s presence. May the Father revive us and may we live every bit of our lives fully. He lives; therefore, WE LIVE!